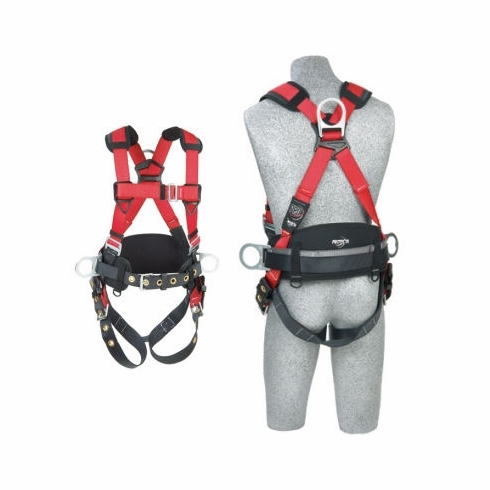 Protecta PRO™ Construction HarnessDBI Sala-Protecta PRO™ Construction Harness, Item # 1191208,Go with the gear with exceptional performance and value. Go with Protecta PRO™. Introducing the all new, fully functional Protecta PRO™ harnesses. With designs that incorporates improved fit, updated colors, and durable yet lightweight construction, Protecta PRO™ harnesses provide greater comfort and added safety — which translates to reduced worker fatigue and increased productivity. Go with the gear with exceptional performance and value. Go with Protecta PRO™.